Yoga is a deeply personal practice. For every practitioner it means something different—and even to each person, the practice changes each day. Yoga doesn’t discriminate. It’s a practice that can benefit the old and the young, the healthy and the infirm, the wealthy and the poor. For some it is about the physical benefit, for others it’s a spiritual experience, and to still others it’s a way to step outside of their own minds and connect with something deeper. No matter what yoga means to you, the beauty of yoga is universal. 1. Yoga brings about a sense of calm. When you practice yoga, it’s as if the world around you stops. You’re able to tune out the chaos around you and turn inside to find peace and calmness in a world that is often feels like it’s moving at warp speed. Even sitting in a city of 8.3 million people, if you can turn inside, you can hear your own breath above the noise. 2. Yoga brings people together. In Mysore, India, and around the world, Yoga Stops Traffick brings people together to raise awareness of the tragedy of human trafficking. In 2012, the event brought together 3,000 people in 38 countries, 95 yoga studios, parks, homes, beaches and mountaintops around the world and raised more than £30,000. 3. No matter the style you practice, there is beauty in the tradition of yoga. 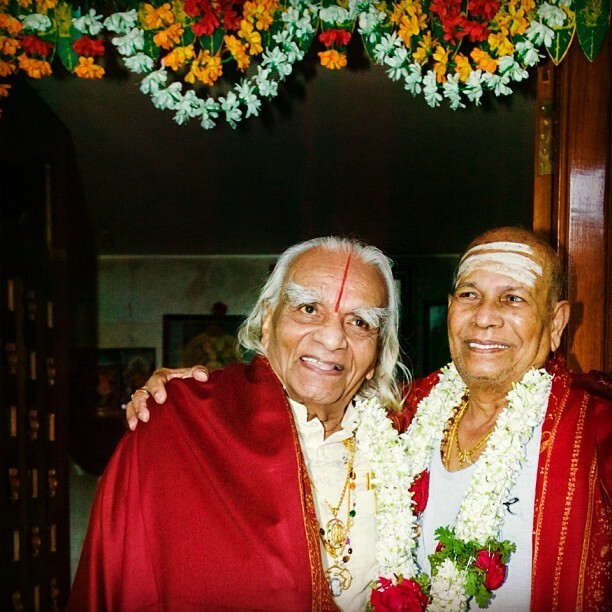 In 2005, two of the greatest yoga teachers of our time, B.K.S Iyengar and Pattabhi Jois, both of whom studied under Krishnamacharya as young boys, were reunited in Mysore, India. At the ages of 87 and 90, respectively, it was the first time they had seen each other in 60 years. Though the two teach different styles of yoga, there is no denying the millions of lives that have been changed through the lessons of yoga they have shared with the world. 4. There is power and grace in yoga. Yoga is not about forcing yourself into a posture, but is about accepting where you are, being humble and forgiving, and with practice the posture will come. That is a power and a grace that far exceeds the physical, and it’s a power and grace that, once achieved, you carry with you through life. 5. Yoga knows no age limits. 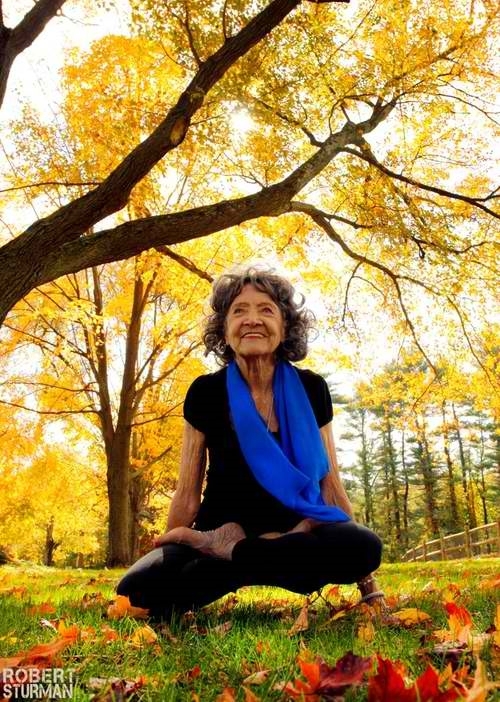 At 95 years old, Mater Tao Porchon-Lynch is proof that you’re never too old for yoga – and that yoga can even help keep you young. 6. Yoga can help you reach a deeper spiritual place — no matter your religion. Among many Hasidic Jews, the teachings of yoga can be considered taboo, but in an ultra-orthodox city outside Jerusalem, a husband and wife are on a mission to change the attitude toward yoga. They are committed to making others understand that through yoga and connecting with their bodies, they can find a connection to their own religion and their own spirituality. 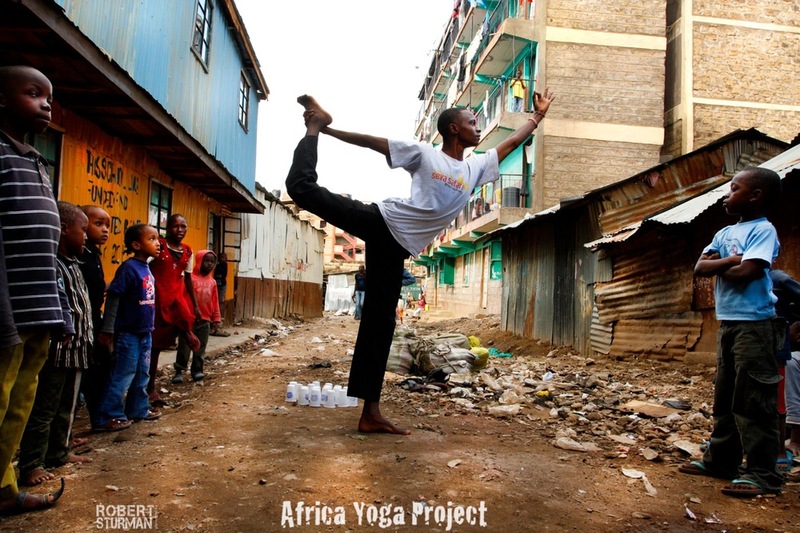 The Africa Yoga Project uses the transformational power of yoga to empower the youth in Kenya. More than 250,000 lives are touches each year by the group. To date, more than 52 young people in Africa have been trained by Baron Baptiste and have gone on to become yoga teachers themselves—spreading the love of the practice. 8. Yoga can soften even the toughest among us. At California’s San Quentin State Prison, prisoners are finding a way to escape the violent lives they once led through yoga. It’s part of the Prison Yoga Project. The program teaches yoga and meditation to prisoners to help them overcome the pain many of them suffered early in their lives. 9. Yoga helps us heal. Yoga can help with both physical and emotional pain. 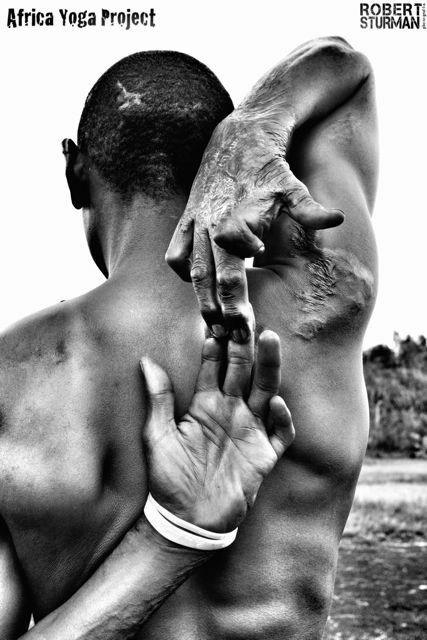 David Mania, of Kenya, was burned in a fire when he was a little boy. 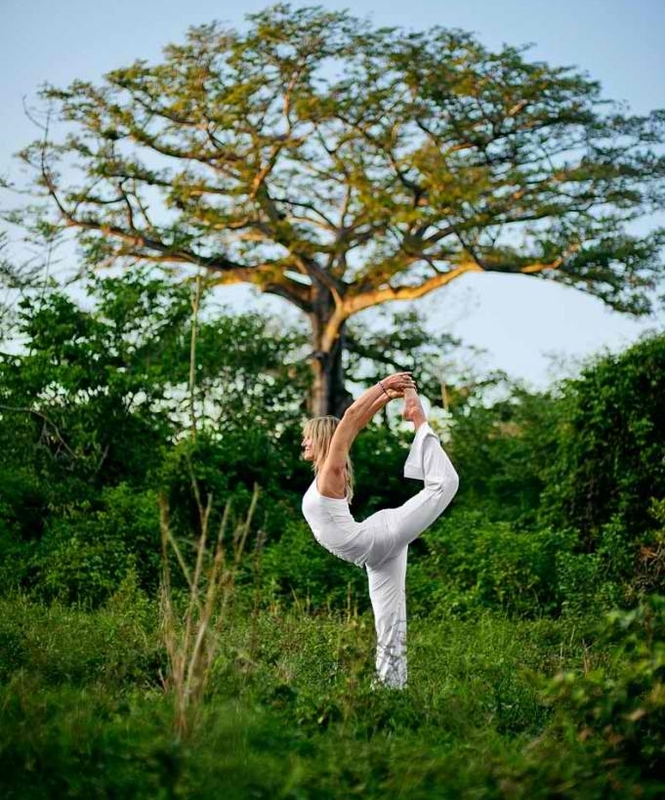 Through the Africa Yoga Project, he is now a yoga teacher helping others discover their own inner strength. 10. Yoga doesn’t care what size you are. 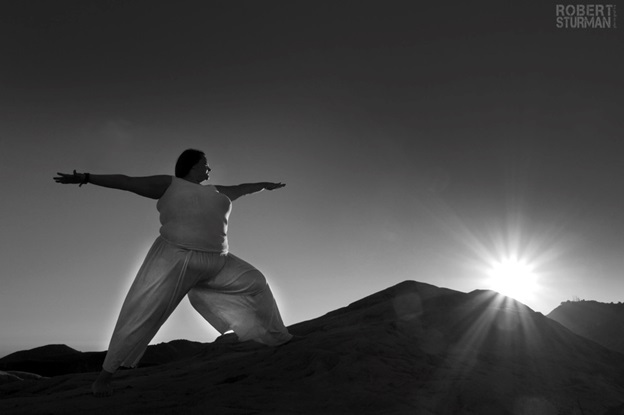 Cami Cote is proud to be a full-figured woman proving that people of all shapes and sizes can be transformed by the practice. As a teacher and practitioner, she says yoga has changed her life in every way, for the better. To celebrate the summer solstice, Times Square, NY turns into the world’s largest Bikram yoga class. Thousands of yogis come together to prove that we are all connected. 12. 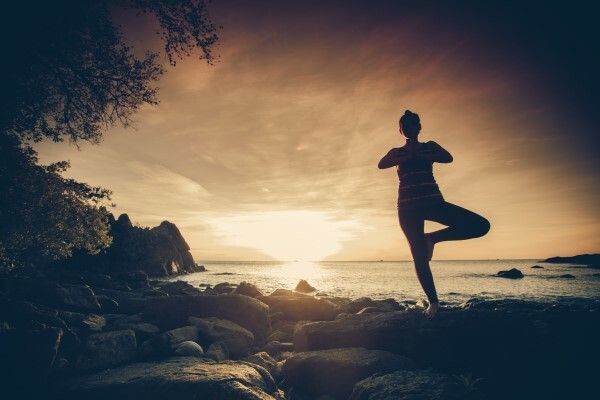 Yoga connects us with nature. While yoga is typically practiced on a mat in a studio, the truth is you don’t really need any of these to practice yoga. Yoga comes from within. You carry it with you at all times. When you practice yoga, you bring yourself closer to nature. 13. Yoga teaches you to just let go. Heart opening postures help you release negative emotions and make space for happiness. With practice, we can ultimately learn to just let go of pain and let love in. In what ways have you seen the beauty of yoga at play in your daily life? Feel free to share your thoughts below!